Posted on April 7, 2019 at 9:09 pm. 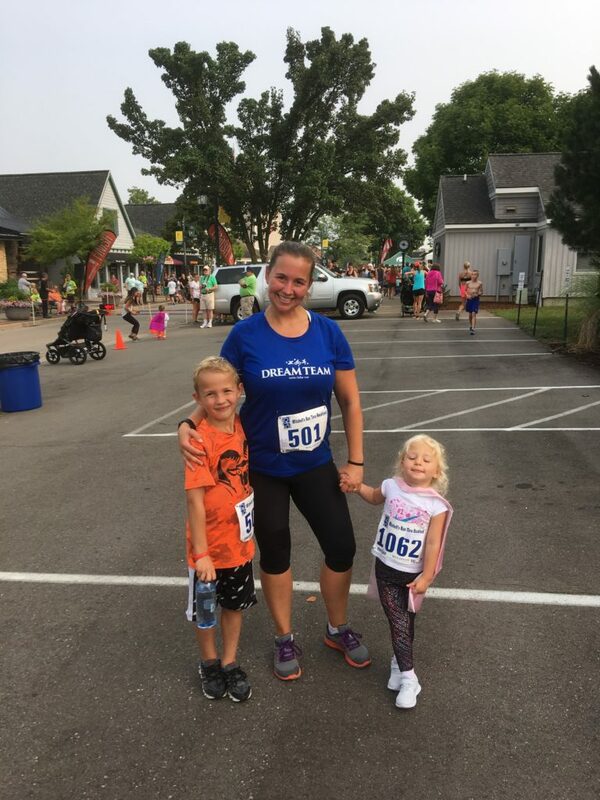 With its beautiful Lake Michigan views and super-friendly west Michigan running vibes, the Mercy Health Seaway Run is one of my favorite ways to get into the summer groove. MRG again will be at this year’s Seaway Run — an event featuring a half marathon, 10K and 5K — both at the Friday expo and on race day, which is June 22. 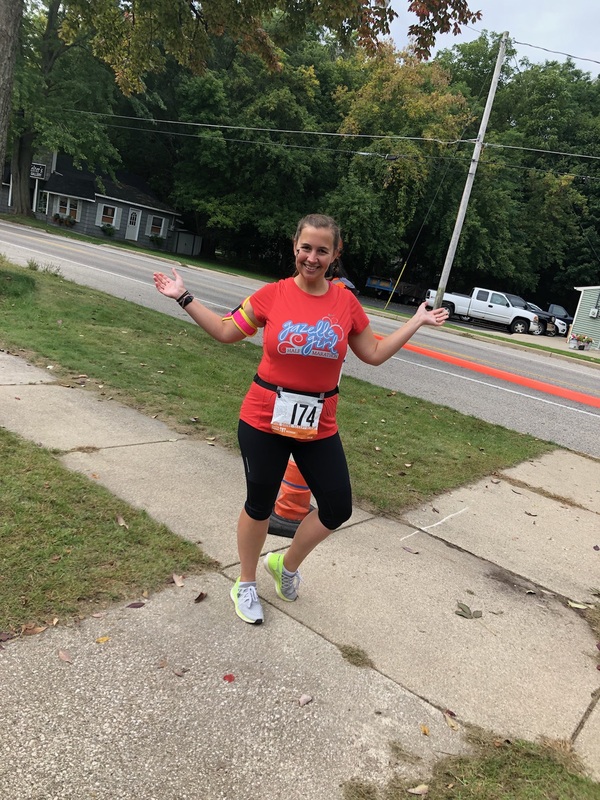 Here’s more about Allison, who started her running journey in Ohio more than a decade ago but acknowledges it took a little while longer than she’d planned. I attempted to start running 11 years ago, before my wedding. I wanted to lose some weight before the big day, but unfortunately, I have a large chest and all that bouncing created what I call bra burn on top of my shoulders. This was no good. I had a strapless dress and didn’t want visible open wounds showing. So, I stopped and settled on being a hefty bride. After the wedding, I would run a mile here and there for exercise, but I didn’t really get into running until after I had my son in 2011. I had a c-section and was stuck inside for 4 weeks of healing and feeding. At this time, I felt secluded from my family and friends because I lived in Ohio and they were all in Michigan. I started running once the doctor gave me the go-ahead. I started because I needed to get out of my house. With my infant in his car seat, strapped to our jogging stroller, we went out walking at first around the block. That turned into jogging, which turned into running into neighbors and having more of a social life again. At this moment in my life, running kicked me out of the depressing baby blues stage of childbirth that no one talks about, and into a positive frame of mind again. I signed up for my first 5K in Dublin, Ohio, which kicked off their Irish Festival. Shortly after that, my father-in-law asked my husband, my sister-in-law and I to run the Riverbank Run 25K with him. In order to get in shape for this, I contacted The Columbus Running Company store near my house and together we were able to put together a realistic training plan to get ready for the race. Ever since then, running has had a major impact on my life. I have met some amazing people and have gone on wonderful adventures with this sport. 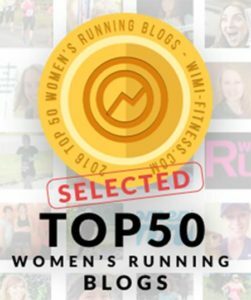 Through running I have seen strong women become stronger, I have learned when to push myself and when to take it easy, and I have grown healthier. The thing I love the most about running is the people that I have met along the way. The running community in Michigan is spectacular. I can go for a solo run or a group run just about anywhere in my neck of the woods and be the recipient of a friendly wave, a knowing smile, a high five, or energetic words of encouragement. I am so inspired by every runner that crosses my path, young or old, fast or slow, large or small. We are all out there pounding the pavement for many different reasons: as therapy, as exercise, as an escape, as a social outing, to better ourselves, or if your me, to try and keep up with your kids. We are all out there for whatever personal reason, but we also find time to encourage others on their journey as well. I will be totally honest, I enjoyed the idea of having the race fees waived to become a Seaway Run Race Ambassador. 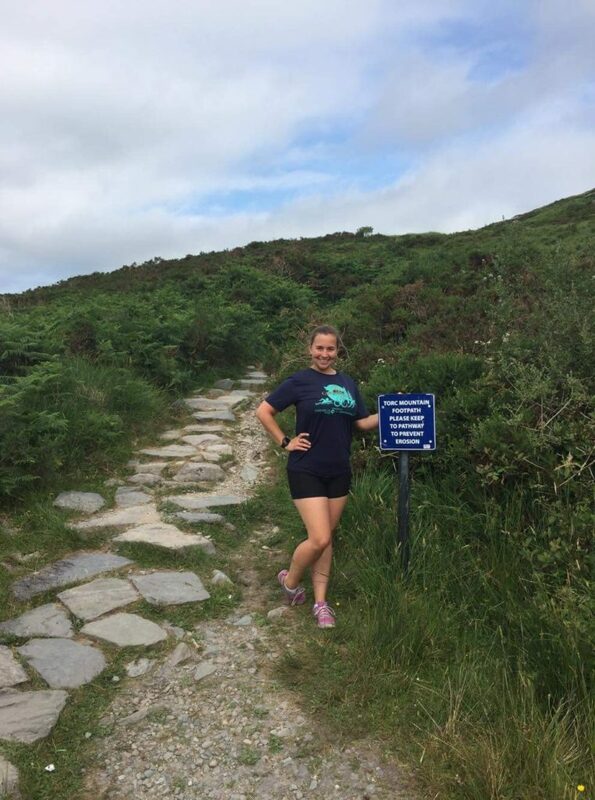 https://seawayrun.com/mercy-health-seaway-run-ambassador-allison-dykstra/ I also enjoy (sometimes) doing things with my sister, so we both decided we should give this adventure a try. 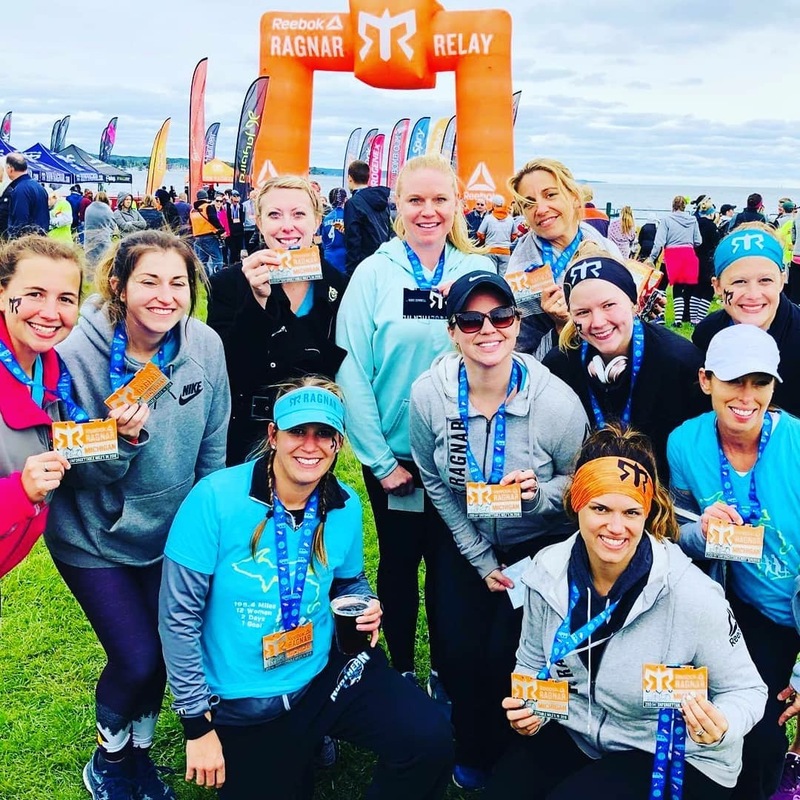 I am really glad we did–now we have to hold each other accountable for our training, make silly videos together, and come up with creative ways to encourage others to join us on the run. Learn more about this year’s Mercy Health Seaway Run Ambassadors on the race website. Haven’t signed up yet for this June 22 race yet? Join the ambassadors — and MRG! — by registering here. Don’t forget to use the race discount code — MRG2019 — to save $5 off your race entry. Be sure to stop by the race expo on Friday, June 21 — MRG will be there and we’d love to see you at our booth! The expo is from 11 a.m. to 7 p.m. at LC Walker Arena, 955 Fourth Street, Muskegon. Learn more about this event here.